A fairy-tale attitude makes us believe that we are one extended human family. Facts teach us that quite the contrary is true. Human national, religious or cultural groups compete and combat each other. This is determined by our biological constitution, and history is a long record confirming that such is the case. Only those who live in cloud cuckoo land will set down to bending the natural forces to make them conform to their I-have-a-dream fantasy. do it? Because those huge chunks were inhabited by Germans. Why were they inhabited by Germans? Did Czechoslovakia conquer them from Germany? Nay, these territories were parts of an ancient, medieval Czech principality, then a kingdom. So how did it come about that Germans began to inhabit those provinces? Oh, the answer is simple: they settled them. They kept coming from Germany in search of a better life, fleeing civil war or epidemics; they were invited by Czech princes and kings who thus wanted to have more workforce and raise their income. Before long the land along the northern, western and southern borderline became German for all practical purposes. 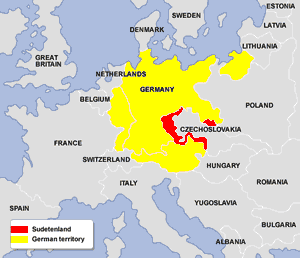 They naturally wanted to be a part of a greater Germany rather than Czechoslovakia. It’s the right of nations to determine where they want to belong, or is it? Kosovo: the cradle of the Serbian state, the place where the fateful battle took place, the battle that determined Serbia’s later history and the nation’s identity. Seemingly all of a sudden, Kosovo became a hot spot of political and then military activities. Albanians wanted to have their rights, to have autonomy, then to separate themselves and join the province to Albania, Greater Albania. 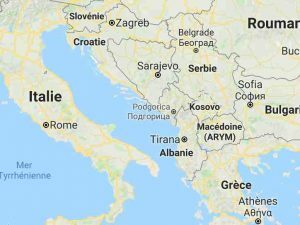 How did Albanians come to live in Kosovo? Did they conquer the land? No. They infiltrated it, they kept streaming in and settling down; they were invited by some of the Serbian governments, and slowly their numbers outdid those of the indigenous Serbs. When their numbers were large enough and the circumstances favourable to their plans, they started demanding limited autonomy, greater autonomy, independence and ultimately unity with Albania. come about that Germans lived in a country that was separated from the rest of their nation? How did they come to live in Prussia? Did they conquer it? Yes, they did. But then how was it possible that they conquered a country that they did not border on? Well, Poland bordered on Prussia and wanted to defend itself against the raids launched from that territory. Poland was too weak to defend itself, so its rulers decided to invite defenders. They invited the German Teutonic Knights, who duly applied themselves to the task and within half a century did away with the indigenous inhabitants of Prussia. They replaced them, and from then on started to threaten the existence of Poland itself. Just like that. Wasn’t it the Celtic tribes of Britain which, unable to stop the raids of Picts and Scots, invited Anglo-Saxons and asked them to defend their land? The Anglo-Saxons came, beat the hell out of the Scots and out of gratitude stayed in Britain for good, pushing the Celtic tribes into the fringes of the island. The usual story. 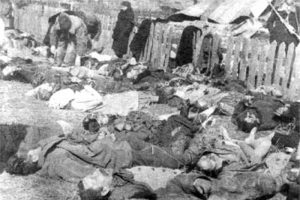 In 1943 Poles were massacred en masse in Volhynia. Why? They lived in isolated colonies among Ukrainians who did not like it at all. Why did they live among Ukrainians? Oh, they either moved here from Poland proper, or they were the descendants of Ruthenian nobility that underwent a process of Polonization, thus alienating themselves from their roots, from their nation. The rank and file of that Ruthenian nation (today known as Ukrainians) only waited for an opportunity and when the Second World War was in full swing, they took advantage of the hostilities and started to make their score with the Poles even. in the finances, academia, mass media and the arts which, taking the disproportionate over-representation of them, was redolent of in-group scheming of this tiny minority against their hosts. Hence the later Nuremberg laws and the resultant persecution. How did it come about that the Jews appropriated to themselves numerous socially important positions? They were invited by German princes and kings and given privileges, charters and the like. The rulers did not ask their subjects whether they liked it or not. The subjects rioted from time to time, and then eventually they voted for such representatives who spoke their mind, and those in turn made short shrift of the minority that was neither tolerated or assimilated. History is full of such and similar stories. They have one common denominator: two mixed nations, mixed races, or mixed creeds means eventual and inescapable trouble which can only be solved in a bloodbath. We may like it or not, we may deplore the human condition, but such are facts. 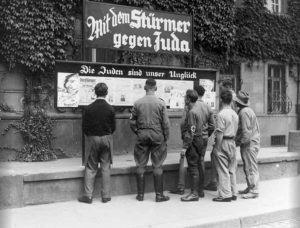 There wouldn’t have been the Sudetenland, the Danzig Corridor, the Volhynia nor the Kosovo problems if the nations, races or creeds had not been mixed. It doesn’t matter whether the newcomers were invited, forcibly resettled or moved in on their own. Two nations, creeds or races are like two substances put together to create inflammable stuff: the explosion is only a spark away.